Tonight’s dessert is so easy to whip together in no time and it looks like you spent more time on it then you really did. he he I love that! I tend to over due on the peppermint flavors around Christmas time and I stock up on candy canes, so they take me into January! Yummy, Yummy! 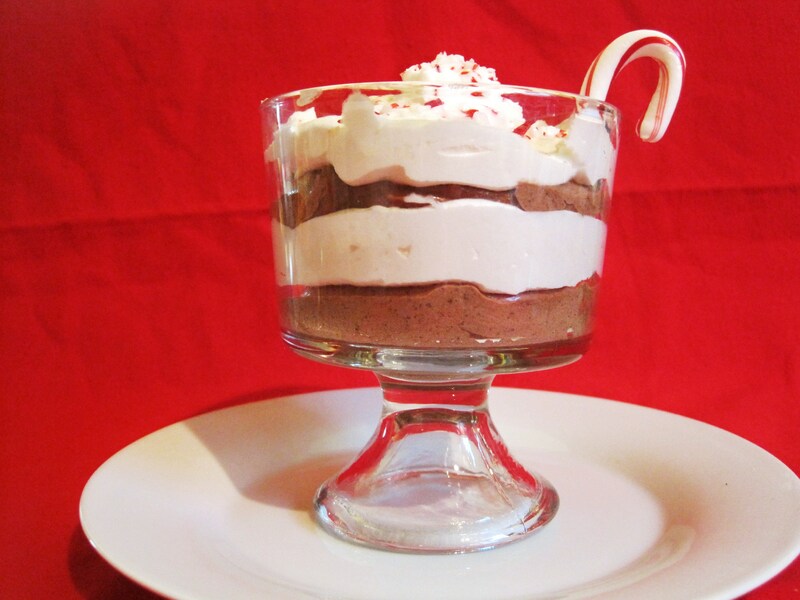 Tonight’s Mousse is a chocolate candy cane mousse full of pepperminty flavor, but not to strong of flavor, you still want to taste the chocolate and whip cream. This recipe consists of 1 Tub of Cool Whip (Fat Free), 1 Pkg. 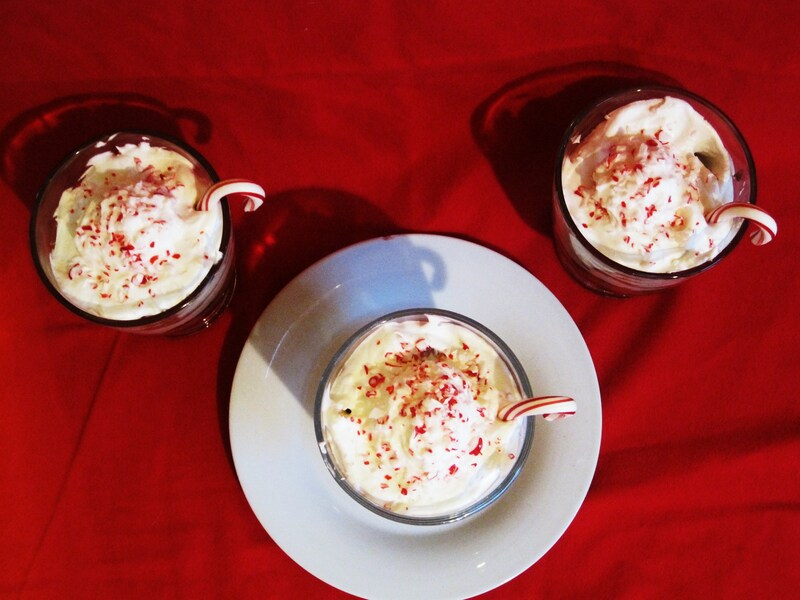 of Sugar Free Instant Chocolate Pudding, 1/4tsp of Peppermint Extract, 1 Cup of Non-fat Milk and Candy Canes! In a bowl mix pudding mix and milk, stir till smooth, add peppermint extract and stir. Add 1 Cup of Cool Whip and fold in till all the white is gone. In 4 8oz. 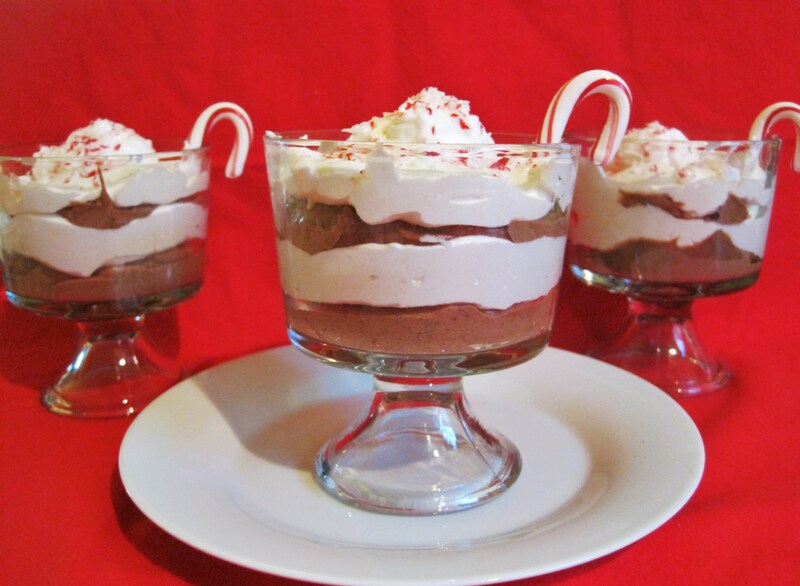 glass cups or bowls, add about 1/4 cup of chocolate pudding, next layer add about 1/4 cup of cool whip, next layer add 1/4 cup of chocolate pudding and about 1/4 cup of cool whip. Refrigerate for about an hour or so. 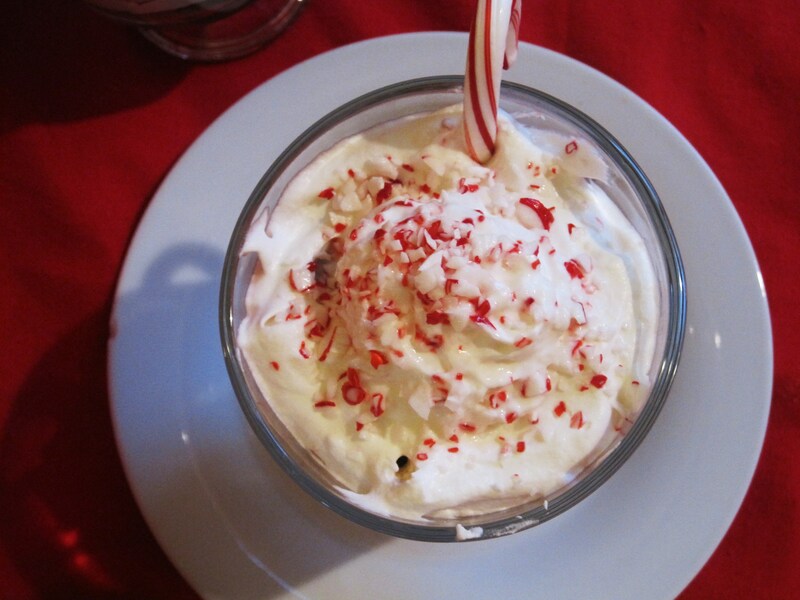 Top with a dollop of whip cream, candy cane pieces and add 1 candy cane per cup. Have a wonderful day and only two days till the weekend!! Woohoo!! 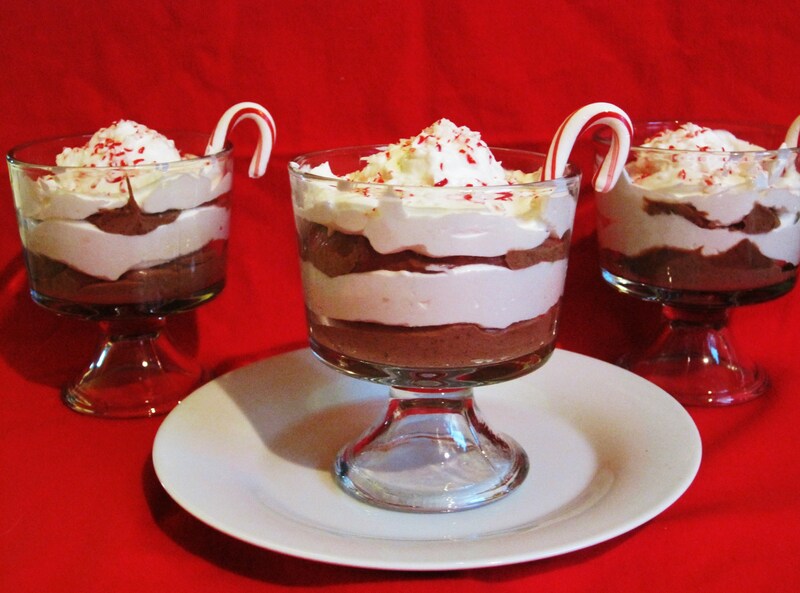 When it comes to mousse, little individual servings do make for a great presentation! Yours are stunning. 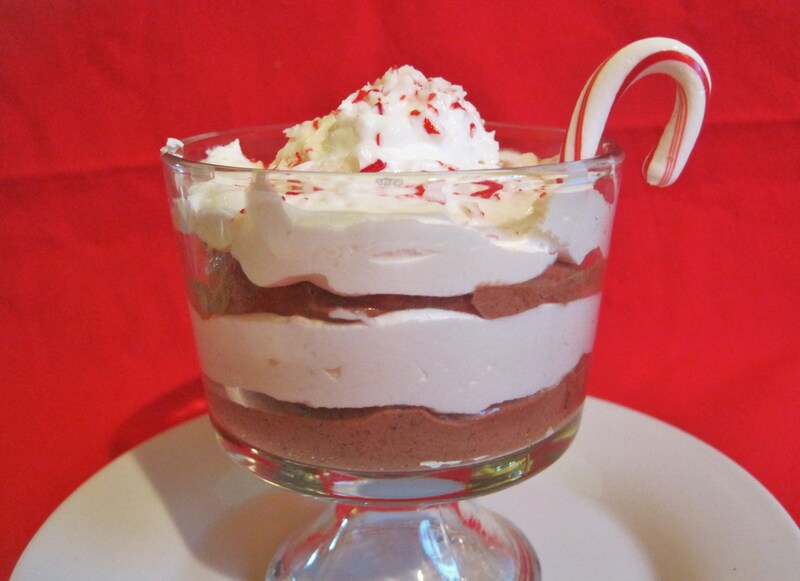 Also, there is nothing more festive than peppermint and chocolate for the holidays-I know it is high on my list of flavor combos-yum! Ohhh, adding pumpkin instead of milk would probably work, better for you, maybe less calories and creamier! I love it! Going to try it again with pumpkin! I was searching all over for a proper pudding mix recipe and then I remembered my fav old website, aka, http://www.peanutbutterandpeppers.com. Lo and behold, there is it , great recipe with easy ingrediants and not to bad for the waistline…U r the best Jennifer…!! !